Yet another short great 2 different flight with Cebu airlines, a 3.5 hour bus ride and 35 minute boat trip. We arrived at Noa Noa island for a short vacation. I had been to the Philippines before but Boracay and it was such a beautiful place to be with white sand beach, great seafood at market and nice place to stay. 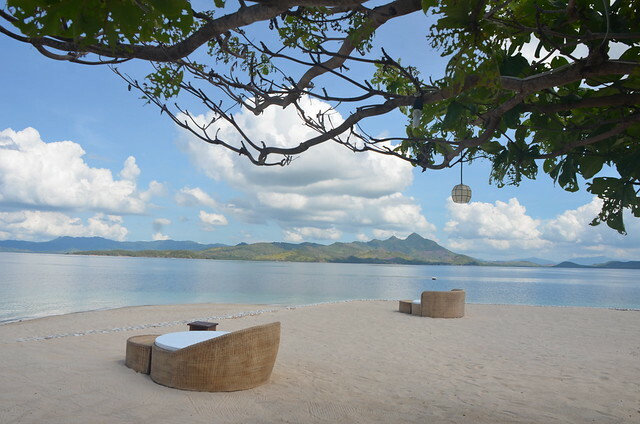 But I have to admit that Palawan is just another beautiful place that I would need more than just 4 nights. 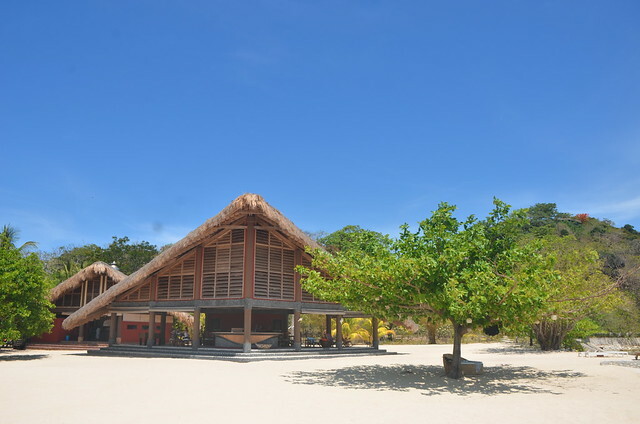 The white sand beach, the coral, the resort's staff and of course the food was fantastic. We spent most of our time snorkeling, eating and having daily massages on our vacation which is my perfect idea of travel. It took me a little while to get used to breathing by mouth for snorkeling as I haven't done it for such a long time, and I drank heaps of salt water. It's good for my body somehow, I thought. It was great fun when I could do it the proper way. I saw way so many beautiful fish, huge clams and colorful coral. The resort staff was really generous with the tasty food. They kept asking us if we wanted snacks, cakes and fruits in between meals. Everything they made was fresh and delicious. 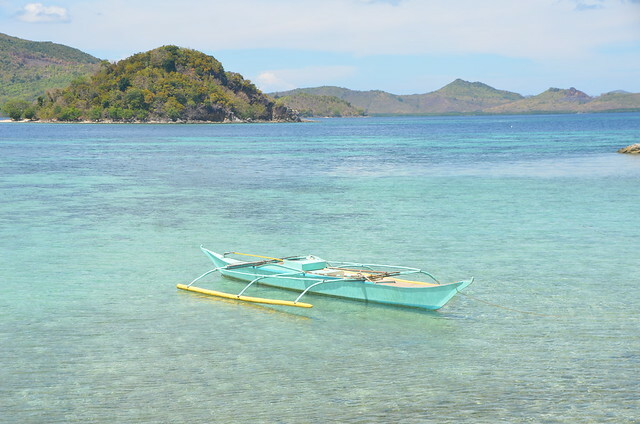 They shopped every morning at the neighboring island, driving their boat there and back to buy daily ingredients: fish, veggies .... The best part of the experience was that we were the only people on the island. In some way, it was a bit funny that somebody was serving and entertaining me instead of me doing it. My two night-three day escape to Mui Ne right before Tet was great even though the bus trip to get there from Dalat wasn't as I expected. I thought I would be in a nice big bus with a very smooth journey but only 25 minutes after we started, the bus got a flat tire. Then the bus conductor put me in the last row with four young Chinese women who took nonstop selfies and chatted very loudly. It was hard to block it all out! Anyhow, I arrived in Mui Ne and checked into the Cham Villas, a very pretty boutique resort, very private and quiet compared to the bus journey. 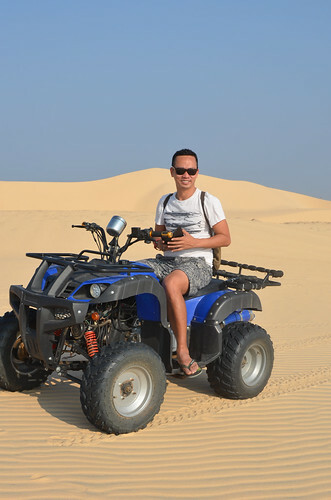 I started my Mui Ne exploration by checking out the area and quickly realized it was pretty much similar to my hometown, Nha Trang which is also popular with Russian tourists and therefore caters very much to them. Even the local staff speak Russian. After I had lunch at the seafood restaurant nearby, I went back to the Cham Villas to swim at the hotel's beach and enjoy a couple of cocktails, very well made I must say! Later I walked to the other end of the main street where all of the tourists go and all the street seafood restaurants are located. I picked live crabs and prawns to be barbecued and a small fish for sweet and sour fish broth. Way too full, I walked back to the hotel, keeping an eye out for a nice decent bar but I actually couldn't find one. I like to sit at a relatively quiet bar with not many tourists but most of them were packed with tourists. I decided to hang out at the hotel pool swimming again before heading to bed, ready for the next day when I would go with a local guide to see some of the sights. 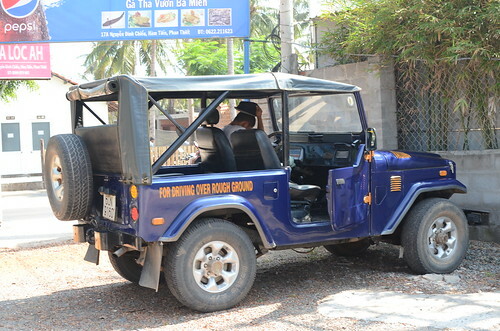 My guide picked me up at 12 after my morning of relaxation at the beach, pool and a very nice lunch at a small local chicken restaurant. 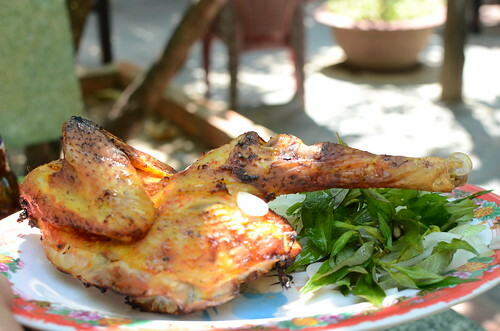 I ordered half a chicken barbecued with chili and another half boiled, eaten with salt, chilli and lime. 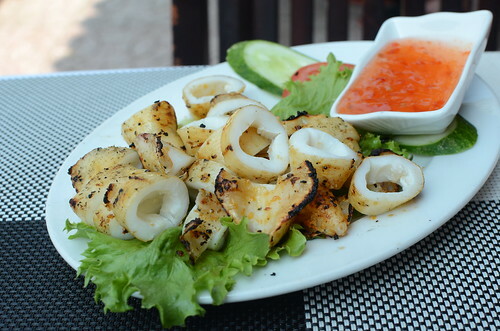 It was my best meal in Mui Ne. 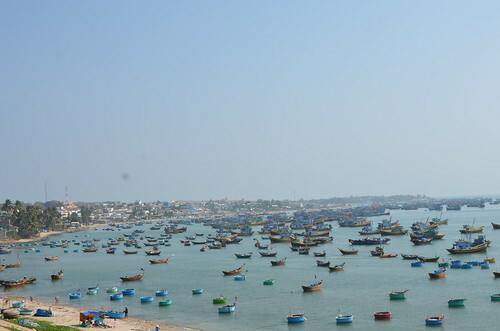 I visited Mui Ne's famous Fairy Stream for a pleasant hour long walk in the shallow water with quite a lot of other tourists. Then I headed to a fishing village where fishermen were painting their boats, picking at mussels while their kids ran around. Life is so peaceful there and the people were very warm and openly friendly. They didn't mind that I took pictures while they were working. The last stop was the sand dunes, where I hired a guy with a three wheel buggy to drive up and around the area for a wander. He scared me so much when he sped up and down the hills very quickly. I thought I would roll a thousand times down hill and as I screamed the driver laughed out loud. 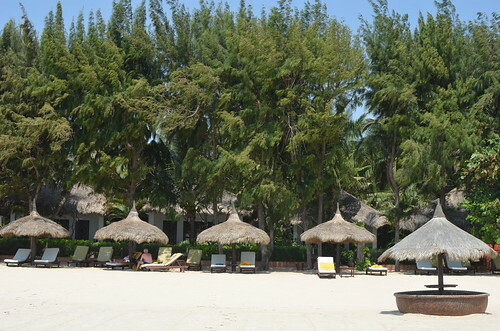 I took it easy that evening and the next morning relaxed at the hotel and beach before heading back to Nha Trang for Tet. I would highly recommend the Cham Villas. 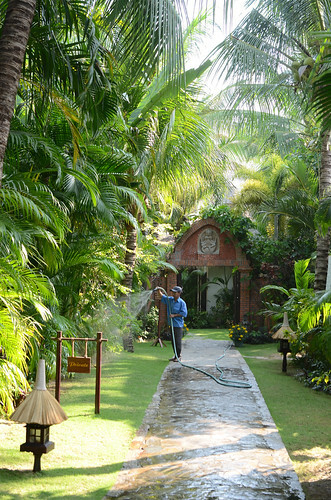 It is a great little resort, with decent food and friendly staff. Hopefully I can come back again in the near future.